Upon learning of the PrecisionHawk involvement in the Pathfinder Program we reached out to them with a couple of quick questions. Q. What made you the right company for the Pathfinder project? This is certainly an exciting opportunity. There are so many positive use cases for UAV technology and we have years of experience working with international regulatory bodies to showcase safe operations. This project is a very proactive step forward for the industry, and we look forward to contributing to its growth. Are there any technical limitation with the technology itself preventing flying beyond line of sight? The technology is in a place that will enable beyond line of sight operations safely while separating UAVs from manned aircraft and ground obstacles. 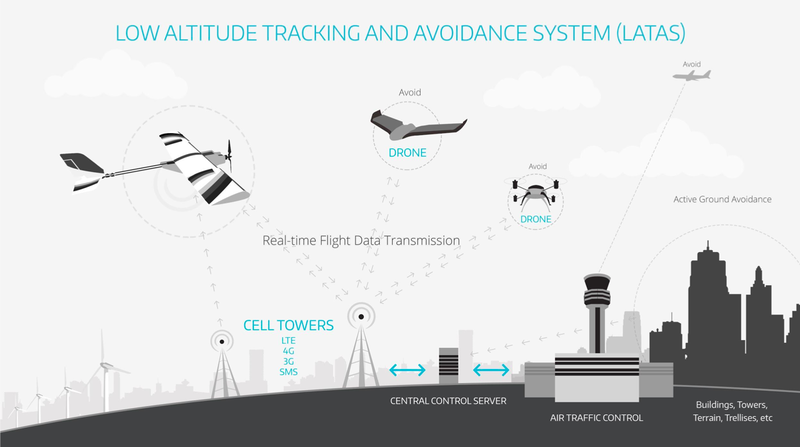 We envision the PrecisionHawk LATAS hardware as a piece of technology that can fit on any UAV platform and tap into the overarching traffic management system, but in order to get there, we will need to work with industry partners to test the system on numerous platforms and in various use cases. Q. Will PrecisionHawk be incorporating technology from other vendors as a part of this process or will all technology be yours? We hope to work with other leaders in the space as well as vendors outside of the industry to test the PrecisionHawk LATAS technology. We want to find the right solution no matter where that comes from, and we are excited to work as a collective to find the most complete solution. A win for the Pathfinder program is really a win for the entire industry as we determine safe and reliable solutions for widespread UAS integration.